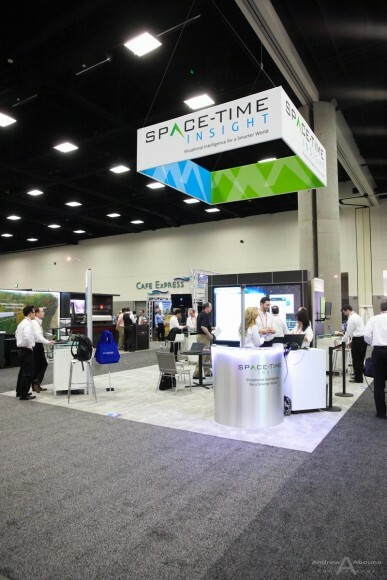 Using breakthrough situational intelligence applications to help organizations make faster more-informed decisions, Space-Time Insight develops and showcases real-time visual analytics software. 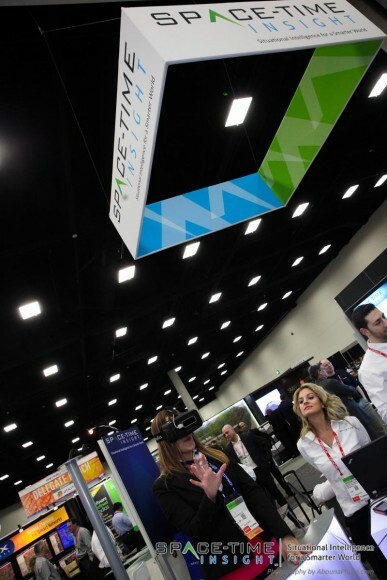 One such application was a hit at the recent industry-leading utilities conference and exhibition ‘DistribuTech 2015’, held at the San Diego Convention Center. 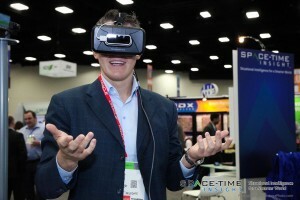 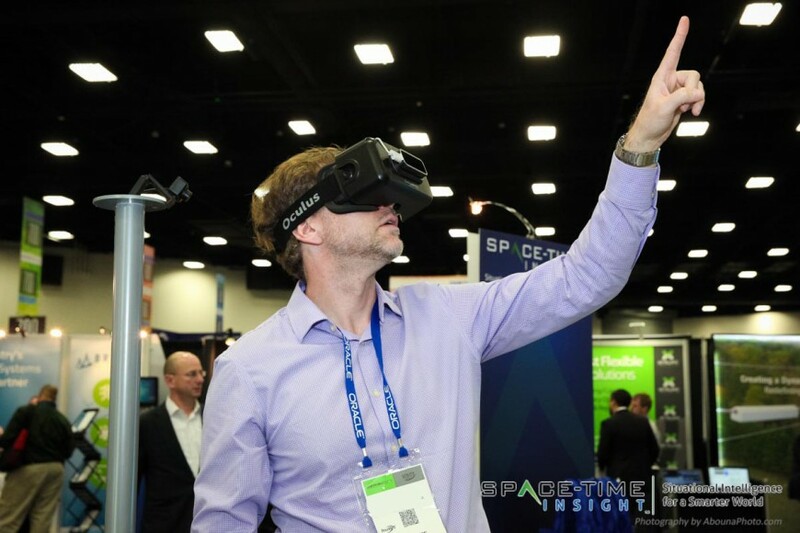 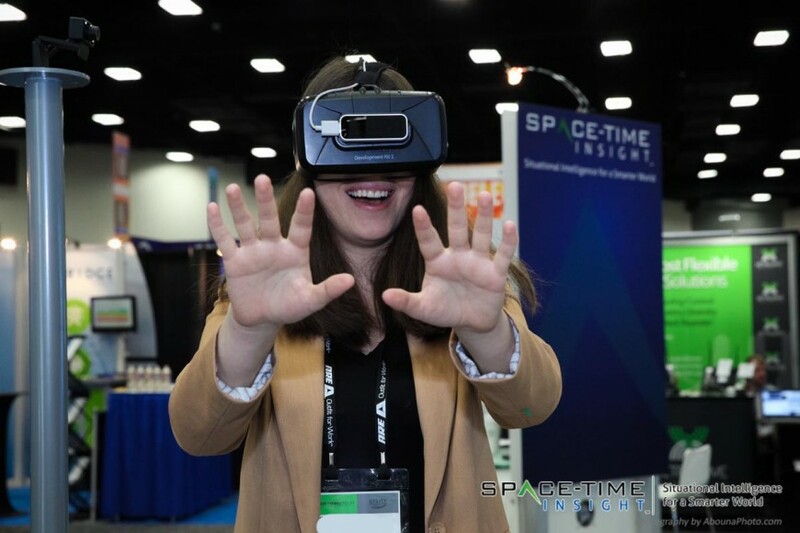 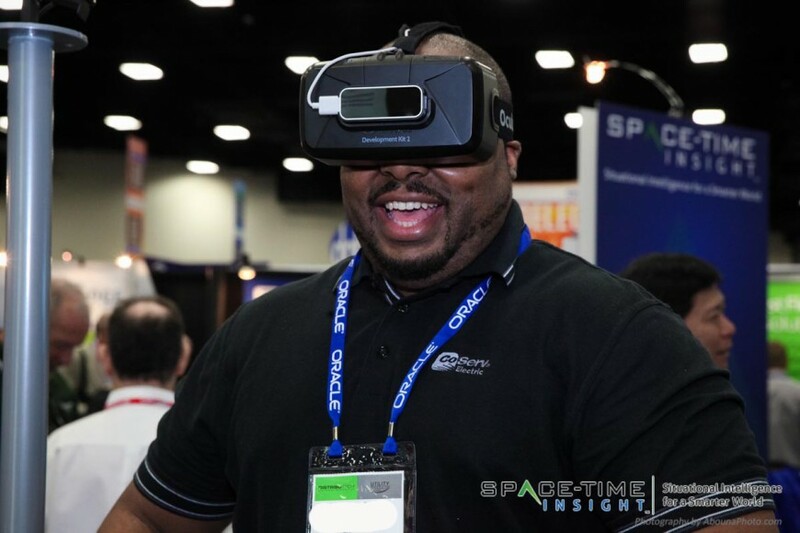 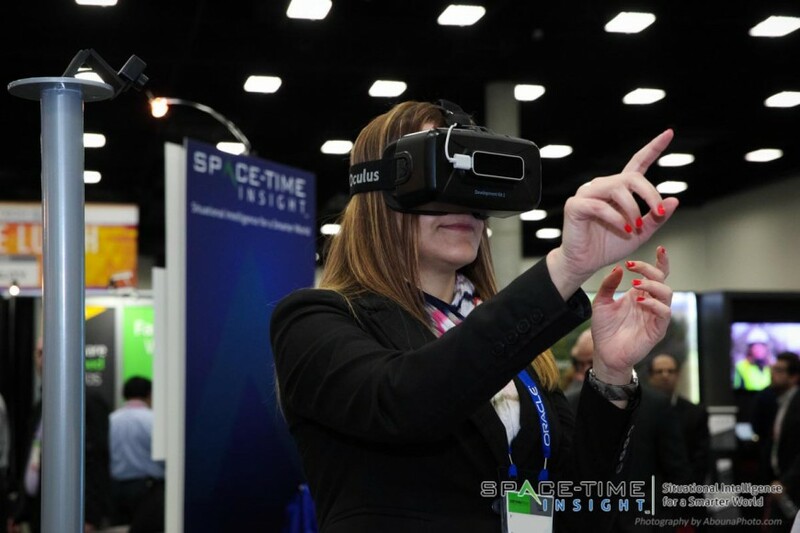 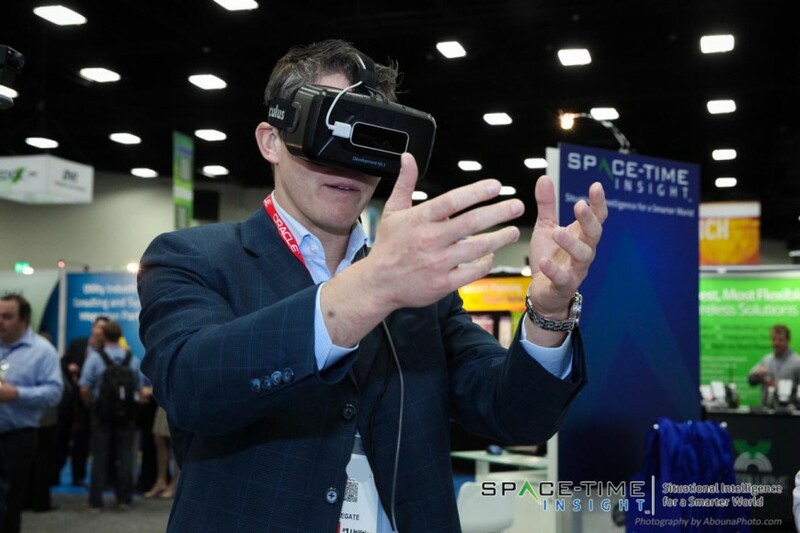 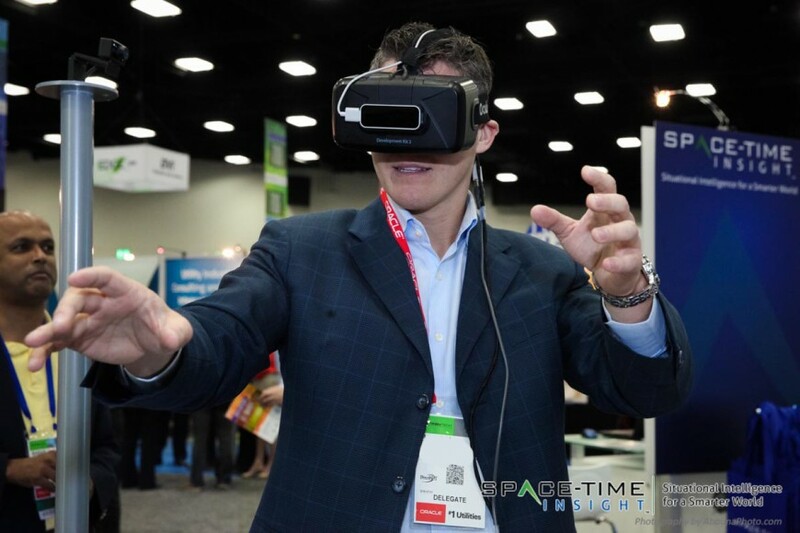 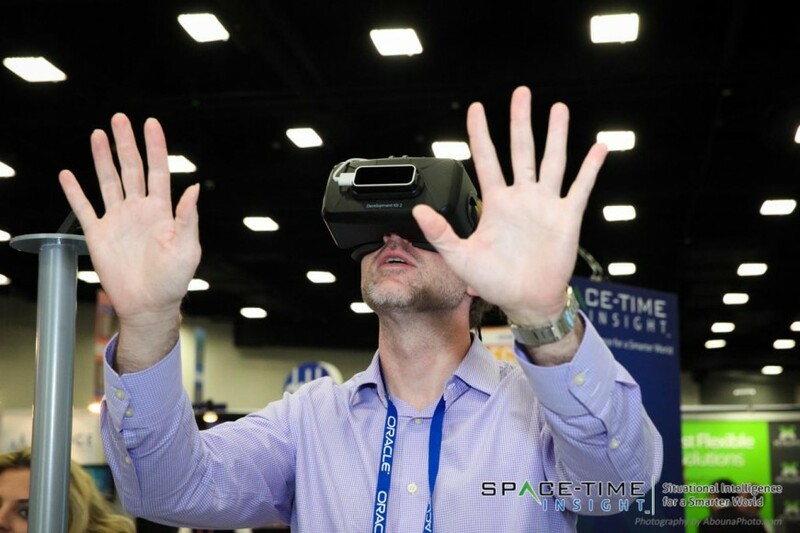 For the 3-day exhibit I provided event photography in San Diego for Space-Time Insight, capturing conference attendees’ fascination and reaction as they explored situational information of the company’s virtual reality experience using Oculus VR goggles. 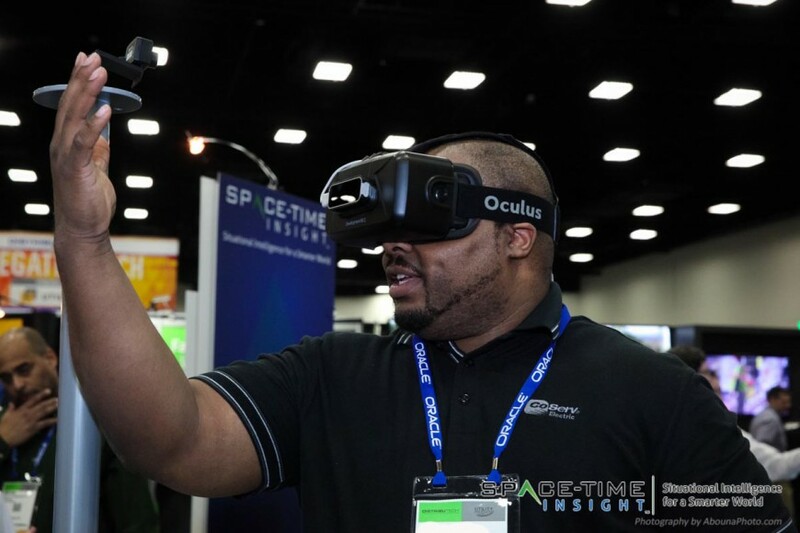 Oculus VR goggles are popular in the 3-D gaming world because of the immersive experience they give gamers, and Space-Time Insight has shown that VR has potential in the real world of utilities, too. 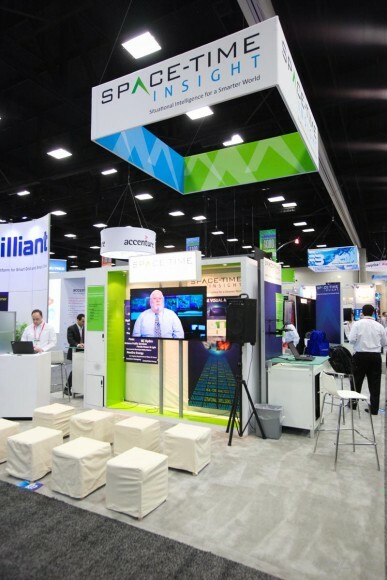 DistribuTECH is the largest U.S. event that covers the utility industry from end-to-end with 10,000 attendees and more than 480 exhibitors. 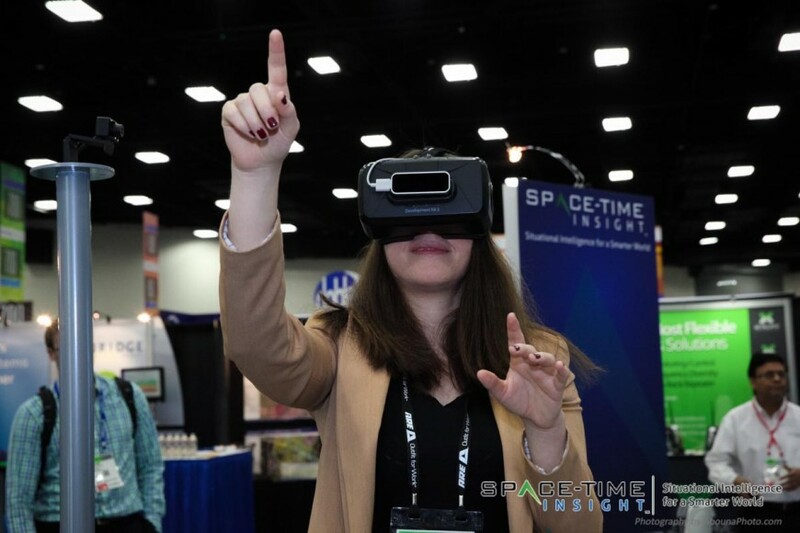 Over the course of the multi-day event photography in San Diego, over two-hundred conference attendees were photographed as many thrilled at the experience of using virtual reality (VR) to move through a power substation and interactively resolved two situational problems. 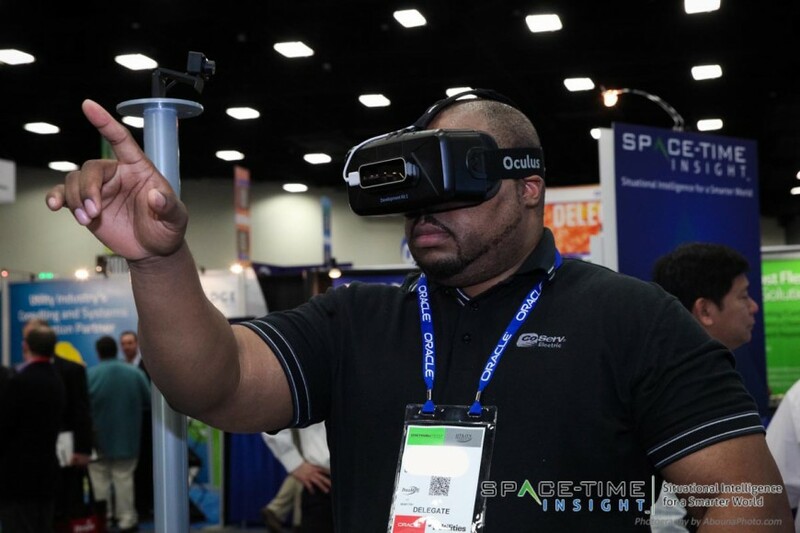 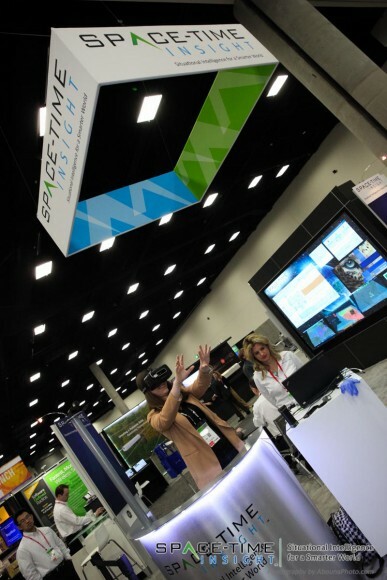 Using positional tracking in conjunction with the Oculus VR goggles, attendees could also see and articulate their hands in virtual reality, allowing them to interactively press buttons to prompt for a solution to the problems they saw in virtual reality. 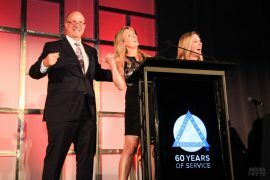 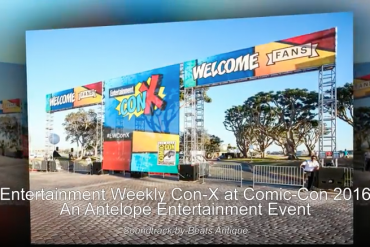 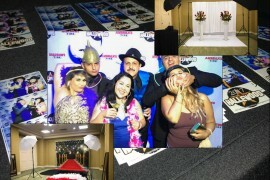 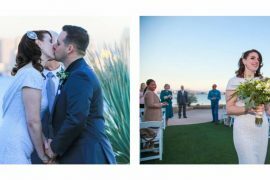 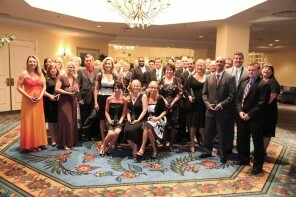 As part of this event photography in San Diego I captured three different views of each attendee, as you can see in this article. 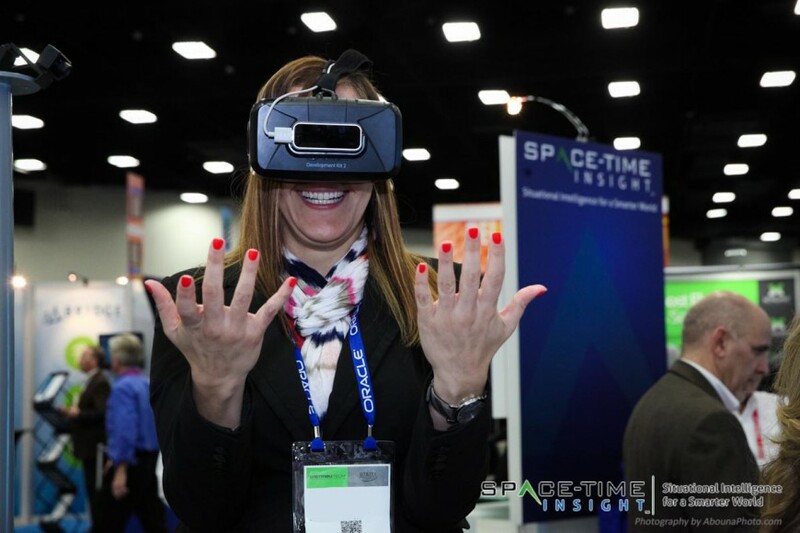 I then prepared each image with Space-Time Insight’s logo, then created set of three digital images for each attendee, labelling the images with each attendee’s conference ID. 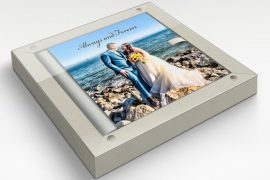 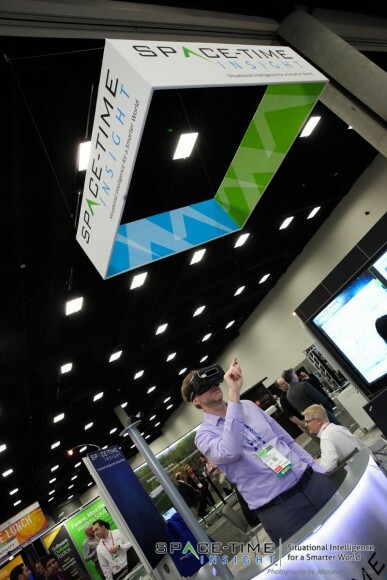 Space-Time Insight is then providing the images to the attendees so that they can remember the experience, while also providing more information about their company.